HOW many cryptocurrencies is too many? Bitcoin came first and blazed a path. But the list of digital coins and tokens that have followed bitcoin is getting crazy. There are now an estimated 1400 in the market. Like any place that gets suddenly crowded, the influx is making people uncomfortable and causing fights. 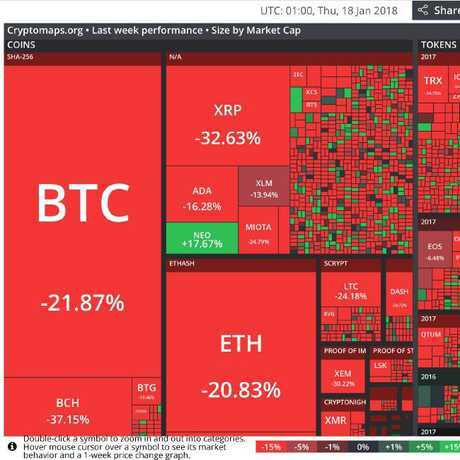 The sniping and backbiting is probably contributing to the cryptocurrency bloodbath that has been going on in the last few weeks. Most people have noticed bitcoin is down dramatically. 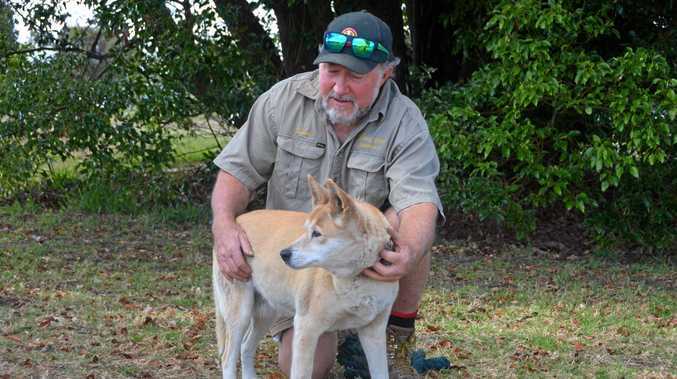 It fell from a peak of over $US20,000 to under $US10,000. But what you might not know is that hundreds of other digital tokens have gone down with it. This next chart shows price performance in the last week of cryptocurrencies. Red means they fell. As you can see, green squares are few and far between. Each square is sized relative to the total value of all coins on issue, and of course despite recent falls bitcoin is still the biggest. All the major coins have seen big losses. Bitcoin, ethereum, ripple, bitcoin cash. So have hundreds of the smaller ones. As the price of cryptocurrencies rose in unison, so did the concept of a cryptocurrency community. But as the tide has washed away, so has the sense of community spirit, and what remains looks rather vicious. Cryptocurrencies competing for the rapidly ebbing love of investors are willingly throwing each other under the bus. The biggest single divide, and perhaps the most bitter is between bitcoin cash and bitcoin. As in the most tragic of internecine disputes, this ugly fight is between two very close relatives. You may have heard of the "blockchain" a long list of every bitcoin transaction ever. The blockchain is a permanent record that grows every time a bitcoin changes hands. But it can reach an intersection and split in two like a road. Bitcoin cash split off from the bitcoin blockchain in 2017 becoming a new currency with different rules, while preserving its heritage as part of the original bitcoin. 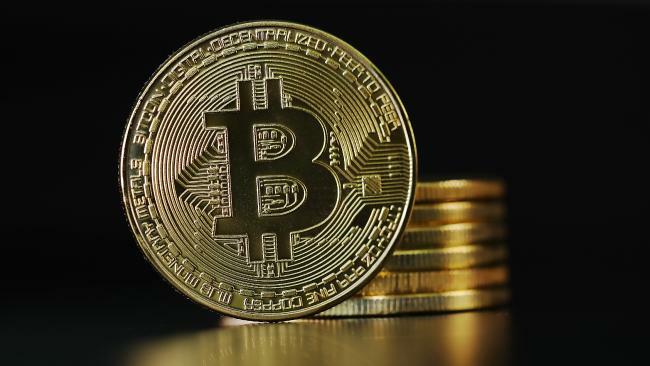 Its goal was to solve some of the problems that were plaguing the original bitcoin, including high transaction fees and slow processing times. But to manage that, it had to compromise slightly on a couple of features that original bitcoin fans held very dear - decentralisation and security. While to an outsider the two coins remain very similar and their devotees are barely distinguishable, the two communities are now locked in a vendetta fuelled by lashings of hate and distrust. Accusations of scams and stupidity flowed like water. 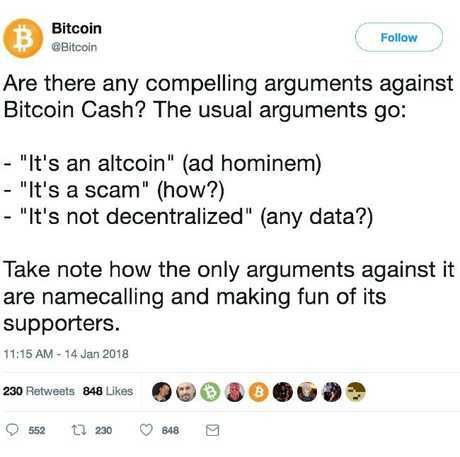 It really didn't help when the bitcoin cash people got hold of the bitcoin twitter handle and started pumping up the upstart. But both bitcoin and bitcoin cash better watch their backs. The cryptocurrency community has very low barriers to entry. Sure, individual crypto-currencies manage the number of coins they issue - bitcoin supply is capped at 21 million, for example, 80 per cent of which have already been mined. But the potential total supply of cryptocurrencies is infinite. What makes national currencies valuable is their monopoly status in each country. There's mostly one currency per country. (In fact there are fewer - most of Europe uses the euro, etc.) But so long as the central bank doesn't print too many (hello Zimbabwe), we agree they're still valuable and we use them. Cryptocurrency enthusiasts love to talk about subverting the central banks who control the money supply. But without central banks monopolising that supply, any of us could print banknotes and flood the market with cash. If it were profitable and legal to print cash, people would. It is profitable and legal to produce new cryptocurrencies so of course people are doing so. Initial Coin Offerings - the cryptocurrency equivalent of a company going public - boomed in 2017. The inventors of a currency generally keep some for themselves, giving them a big stake in the currency being adopted and made valuable. Many tiny little coins you've never heard of came to be worth a few million dollars, making their inventors rich in the process. The trend seemed to reach its ironic peak when the Useless Ethereum Token was launched. The website says this: "This is real - and it's 100 per cent transparent. You're literally giving your money to someone on the internet and getting completely useless tokens in return." It may have one of the best logos of all the cryptocurrencies. Useless Ethereum Tokens promptly rose in value tenfold. Then they crashed again, but the total value of all Useless Ethereum Tokens on issue is still around $100,000. The market for cryptocurrencies is now basically like the market for apps. Anyone who can employ a coder can make one. And as we know it s very hard to get people to pay more than $1.19 for an app. This structural problem in the cryptocurrency market will take some time to wash out. A lot of the smaller cryptocurrencies - fans of traditional bitcoin like to call them "sh*tcoins" - will probably need to go broke before the flood of new ones slows down. But then the real problem might start. If good, well-intentioned engineers can create new cryptocurrencies that actually do the job better (low fee commerce? Store of wealth? Tool for putting information into a blockchain?) then the current cryptocurrency kings could have a real fight on their hands. premium_icon Did Bomber make ‘millions’ on Bitcoin?